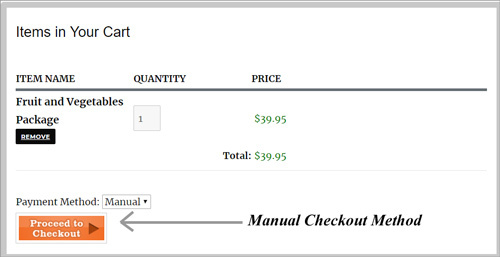 WP eStore – How Does the Manual Checkout Option Work? This documentation will address the usage and setup of the ‘Manual/Off-line Checkout Settings‘ feature of the WP eStore plugin. What is the Manual Checkout Option? How Do my Customer’s Checkout with the Manual Option? 2) The customer gets an email that contains all the items he/she ordered. The manual checkout option is located in the ‘Settings’ menu of the WP eStore plugin. Click on the ‘Settings’ menu of the WP eStore plugin. Click on the ‘Payment Gateway Settings’ tab. You will now see a section titled ‘Manual/Off-line Checkout Settings’. This documentation will focus on this feature of the plugin. Configuring the manual checkout option is simple and easy. Step 1) Under the ‘Payment Gateway Settings‘ tab, you will need to check the ‘Use Multiple Payment Gateways‘ box to be able to offer both a standard checkout (for example, PayPal) and a manual checkout to your customers. Step 2) Use the above steps to locate the ‘Manual Checkout Options’ area. Check the box next to ‘Use Manual Payment Option‘ to enable this feature. Step 3) Enter in the email address of the seller (merchant) and choose a subject for the emails that will be sent from the plugin. Step 4) If you would like to add directions for your customers, you can type these in the ‘Directions for Customers‘ box. Email tags can be used in this field. Step 5) Paste in a return URL where you would like to send your customers after they have enter in their details for manual checkout. Step 6) Tick the boxes for the following if they apply to your product: ‘Do Not Add Shipping Charge‘, ‘Automatically Update Customer & Product Database‘, ‘Create Membership Account‘, ‘Perform Autoresponder Signup‘, ‘Automatically Award Affiliate Commission‘ and ‘Send Product Download Links in the Email‘. Step 7) You can edit the title of the ‘Manual Checkout Option’ viewed by your customers from the word ‘Manual’ to the wording of your choice in the ‘Manual Checkout Selector Label‘ field. Step 8) Ensure you ‘Update‘ the changes you have made. To give your customers the option to use the ‘Manual Checkout Option’ you will need to use an ‘Add to Cart’ button. This can be a ‘fancy’ add to cart button or a simple add to cart button. Using a ‘Buy Now’ button will not offer your customers the choice of ‘Manual Checkout’. Your customer will see the option to checkout manually when they view the ‘Shopping Cart’. The ‘Manual’ option appears beneath their item total in a drop down menu. 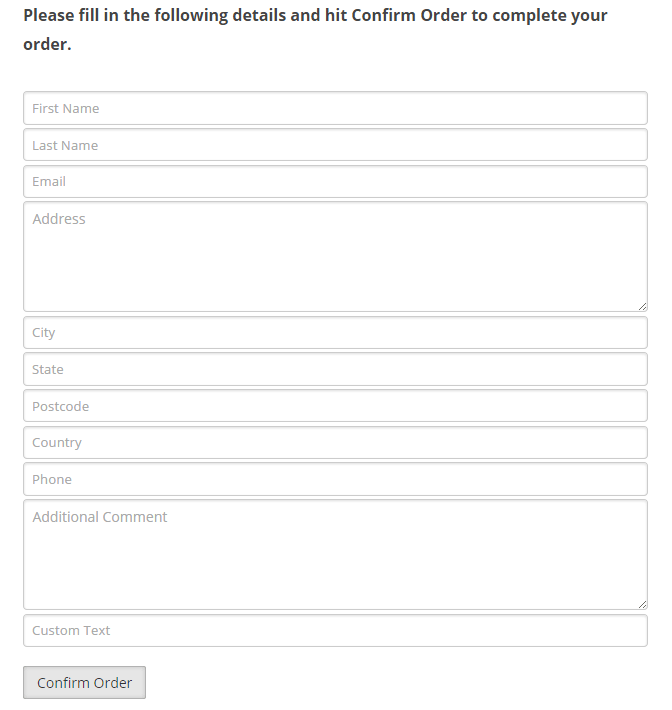 To complete a manual order, your customer will be required to fill in an order form. When a customer checkouts using the ‘Manual’ option, their ‘Payment Status’ will appear as ‘Unpaid‘. This can be manually edited by admin once the customer pays cash in person or transfer money into the business account. The eStore Bulk Discount By Line Item addon allows your customers to automatically get a discount based on the number of items they are purchasing. When this addon is active, You can easily configure some conditions that will be used to automatically apply a discount on the items in the shopping cart. 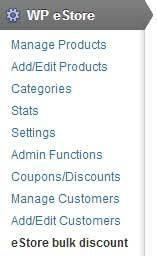 To configure a new discount condition click on the “eStore bulk discount” sub-menu under the WP eStore plugin menu. From (Quantity): The minimum number of items required to apply this coupon. For example – 7. To (Quantity): The maximum number of items required in the shopping cart to apply this coupon. For example- 9. Discount Rate (%): The rate of discount in percentage that will be applied on the item amount. For example – 20. Click the “Save” button which will add the new discount condition. This addon is an improved version of eStore Bulk Discount addon. It calculates the total quantities of an item and apply the discount accordingly (instead of calculating the total quantities of all the items in the shopping cart). The eStore Bulk Discount By Line Item Addon is FREE for all customers who purchased WP eStore plugin from us. The eStore Manual Checkout Form Builder Addon is a plugin which allows you to customize the manual/offline checkout form. 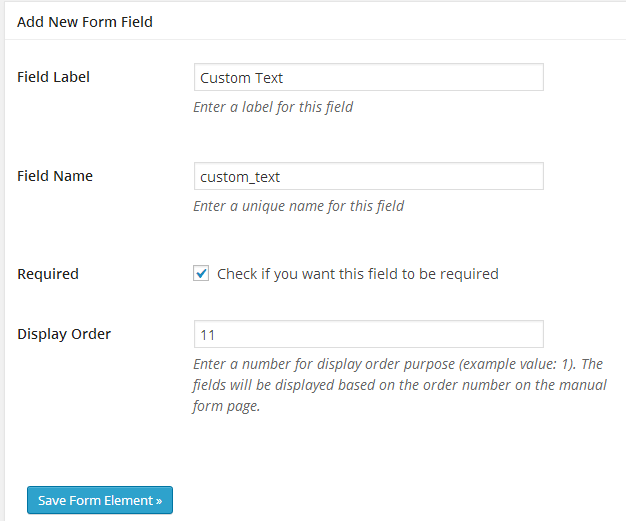 The user can add new form fields or control how the form will be displayed using this addon. 2. The addon automatically configures all the default form elements during activation. 3. To add a new form element enter the following and click the “Save Form Element” button. d) Display Order: The order in which this field will be rendered (example: 11). The eStore Bulk Discount addon allows your customers to automatically get a discount based on the number of items they are purchasing. When this addon is active, You can easily configure some conditions that will be used to automatically apply a discount on the shopping cart. Discount Rate (%): The rate of discount in percentage that will be applied on the shopping cart. For example – 20. 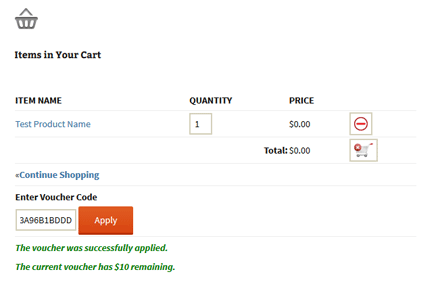 Suppose, you configured one coupon condition and a user just came to your site to do a shopping cart checkout. If the user has 7-9 items in the shopping cart a 20% discount will be automatically applied to the total cart amount. You can add as many conditions as you want. The eStore Bulk Discount Addon is FREE for all customers who purchased WP eStore plugin from us. The eStore File Download Stats addon allows you to see which encrypted download links have been used by your users. 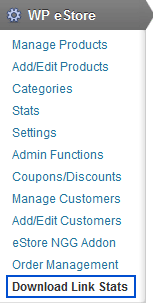 You can go to the download link stats menu in eStore admin dashboard to see the download stats of the encrypted links. You can selectively (between any date range) view the stats of all the purchased file downloads. 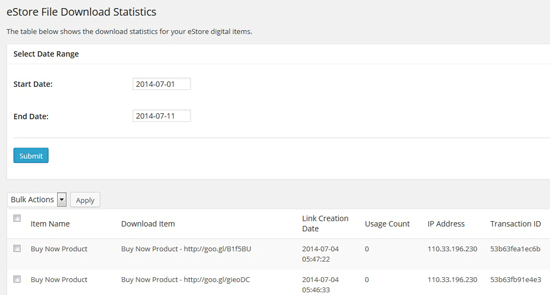 The eStore File Download Stats Addon is FREE for all customers who purchased WP eStore plugin from us. You can enable the save and retrieve cart feature from the eStore settings menu by checking the “Enable Save and Retrieve Cart Feature” option. When this feature is enabled, your customers will be able to add items to the shopping cart then save it. This will allow them to retrieve a previously saved cart and complete the checkout. Add the following shortcode on a post, page or sidebar which will show a save and retrieve shopping cart section to allow your customers to save the current shopping cart or retrieve a previously saved cart. There are a few different ways you can configure the plugin and sell your music/mp3/audio files using the WP eStore plugin. Go through all these options and see which one works best for you. Make sure to watch the basic setup video tutorial to familiarize yourself with WP eStore plugin before following any of the methods below. Step i) Create a WordPress post or page (this will be your landing page for the audio/mp3 file you want to sell). Step ii) Add the full details of the audio file along with any necessary images and videos for it to the page you just created. You have complete freedom in designing this page using the standard WordPress page editor. Step v) Use a WP eStore shortcode to place a purchase button on this page (this button lets your customer purchase the audio file). In this option we will take advantage of WP eStore’s fancy product display templates. 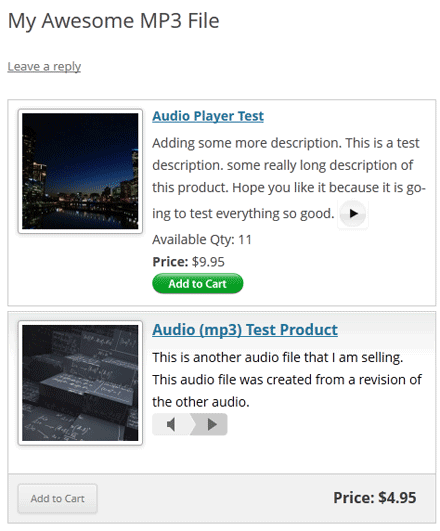 Step i) Create a WP eStore product for your audio file as usual. 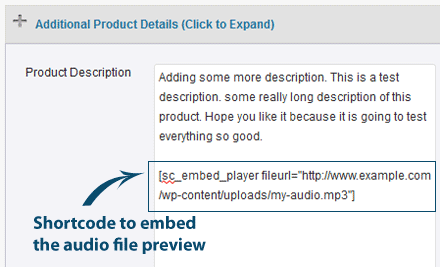 Step ii) Use any audio player plugin to add an audio file preview in the “Product Description” field of the product. Step iii) Use an eStore fancy display shortcode to show the product so your customers can purchase the item. WP eStore has a few fancy display templates that you can use. In this option we will take advantage of WP eStore’s fancy product display templates that were designed specifically for selling audio/mp3 files. 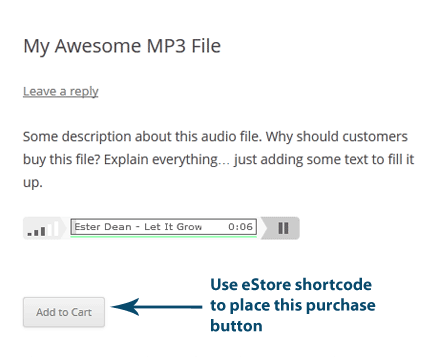 Step ii) Create an eStore product for your audio file. Step iii) Use eStore’s fancy display template 12 to place the product on a WordPress page. The eStore Voucher Generation Addon is a plugin which will dynamically create customizable and printable PDF vouchers after the purchase of a specified eStore product. The user can later redeem the gift voucher in your store. The user can redeem the voucher for both digital and/or non-digital items in your store. The eStore Voucher Generation Addon plugin gives merchants the ability to create printable PDF vouchers based on particular products which are configured in the eStore products database. This plugin makes it possible to automatically issue a voucher to the customer after they purchase a product which is linked to a particular voucher template. Each voucher created will contain a unique voucher code or serial number. 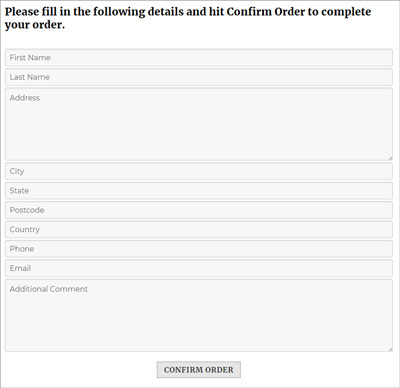 The voucher URL will be sent to the customer in the post purchase confirmation email where the buyer may download the voucher or view it in their browser. The Voucher Generation Addon allows the admin to create voucher templates on a per product basis with configurable parameters such as product ID, voucher text, and terms and conditions. 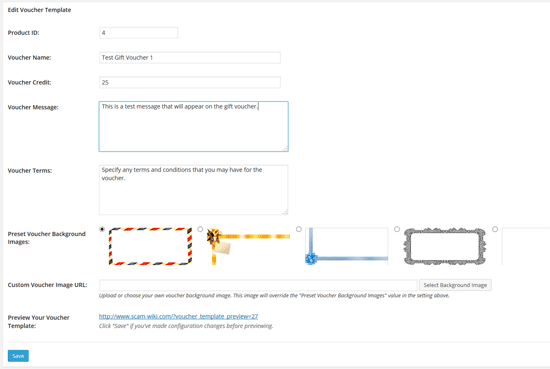 The administrator can also set the border frame of the voucher by choosing one of a selection of background images available in the voucher template creation page. The listing and management of all of the voucher templates which have been created is done via a convenient and easily navigable table which allows for bulk delete actions and sorting. Similarly a separate tab also displays a list of all “issued vouchers” currently in the database. A voucher is considered as being “issued” when it has been generated after a product purchase and has been dispatched to the buyer. Normally, a gift voucher is something your customers buy first. When they buy a voucher from your shop, they get a gift voucher with a code (that can be used to purchase other items from your shop). However, you may want to quickly generate a voucher manually to do some testing or give it to a friend. Use the “Generate Voucher” link from the “Voucher Templates” interface to manually generate a gift voucher that can be used in your shop.